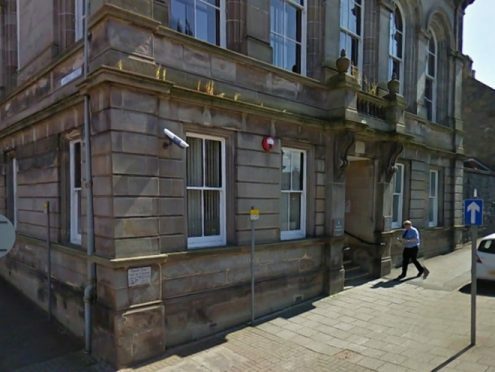 An Oban taxi driver has been fined for careless driving after knocking down two women near the rank. Shona Brown, 61, had four penalty points imposed on her licence and was ordered to pay £200 at Oban Sheriff Court yesterday. Brown, of Miller Road, pleaded guilty to driving carelessly in Queen’s Park Place on October 21. Sheena McInnes and Malina MacIntyre, both aged 67, were walking across the entrance to the taxi rank when Brown pulled in, knocking them both to the ground. She drove over Mrs McInnes’ foot, causing it to break. Fiscal Eoin McGinty said: “The two witnesses were walking across the taxi stand entrance. The accused turned left into the taxi stand and as she did so ran over the back of the feet of the witnesses, causing them to fall to the ground. They were to the front left hand side of the car, almost having crossed. Solicitor Edward Thornton said Brown had been a taxi driver for 15 years and has an excellent history of good character.